Published: March 24, 2016 at 03:24 p.m. Updated: March 27, 2016 at 12:48 p.m. 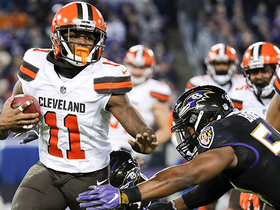 In a recent meeting that included a number of team executives, Cleveland Browns coach Hue Jackson explained with wide eyes to those in attendance, including owner Jimmy Haslam and his wife, what he saw during a private workout from Robert Griffin III last week. Jackson explained how, at one point when Griffin rolled out in a full sprint to throw a pass, "it felt like the Earth moved beneath my feet," according to team sources. He told them how Griffin's accuracy in passing drills was "freakish." It was surreal and special. It was everything you remember from 2012 -- and everything you have forgotten since. 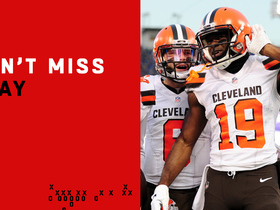 "Go get him," Haslam told the group, setting off a series of negotiations that would lead to Griffin signing a two-year, $15 million with the Browns on Thursday. Meanwhile, while Jackson was left in awe, Griffin was in the middle of his own soul-searching experience. The former No. 2 overall pick and Heisman Trophy winner suddenly had found himself being used as a leverage chip around the NFL, knowingly visiting the New York Jets earlier this month as a way to help them negotiate with the quarterback they truly want, Ryan Fitzpatrick. Griffin was OK with this. He understood this process -- that any free-agent visit would be helpful to his situation. He also believes he knows, after a humbling year that included repetitions as a scout-team safety, the importance of appreciating the difficult nature of the NFL, according to sources close to him. But then, he visited Cleveland. He visited, not knowing what would become of it, still being told by multiple advisors that San Francisco would be the best fit should Colin Kaepernick get traded. Something happened on that visit that changed the whole thing. Jackson and Griffin saw the potential. For Griffin, he saw a tough-loving coach who asked no easy questions. 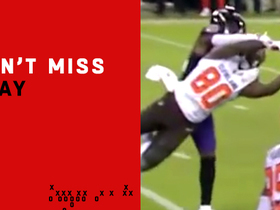 Jackson saw an honest and humbled human; a football player who made it clear that his days of heavy social-media interaction were behind him; a man who couldn't stop saying those ever-important words: "It is all about football for me." Yes, there is no doubt, it is easy to speak these words, as Griffin did -- just like it was easy for Johnny Manziel to do the same during his pre-draft visits with the same team under a different coach. And so, it is reasonable and expected for Browns fans to remain skeptical, just as it is no surprise that the sports world will roll its collective eyes. And that's just fine. For Griffin and Jackson, both men realize an important truth about their own personal situations and the situation of the city they now share: Every story of redemption starts with doubt and criticism. So here's what you need to know, other than the fact that Jackson and Griffin immediately had an impressive vibe: They both recognize this is going to take hard work and nothing is guaranteed. But Jackson absolutely sees a player who he plans to prepare for a Week 1 start, while Griffin aims to approach this situation as a competition, regardless of who it is against, according to sources close to both. In the coming weeks, Griffin will begin workouts with Tom House, the quarterback guru who has a strong relationship with Jackson. House has worked with quarterbacks like Tom Brady, Drew Brees and Carson Palmer, and he understands Jackson's system, which will allow Griffin to get started on private work despite rules that will largely limit the interaction between Jackson and Griffin for the coming months. Yes, Griffin fully understands the Browns could still select a quarterback with the No. 2 overall pick in next month's draft. Heck, on Thursday, when the Browns announced they'd signed Griffin, Jackson was literally watching Carson Wentz's pro-day workout. 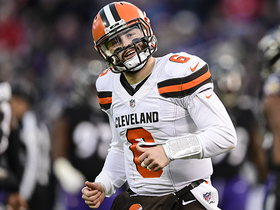 The Browns also know how Jackson feels about Griffin, and they fully recognize Jackson sees a player who he expects to become the starter for this team in 2016. Is he a bridge to a younger player? You could assume that. But Jackson views this differently, according to a source close to the coach. He has more optimism than that. But no need for those details now. Time will tell how this plays out. For now, on this day, this is a story of two men who believe in one another, despite their limited interaction. It is a story of two men who understand things could change with their relationship and their situation, as both have very publicly learned over the last few years. Reality has been harsh to both. They aren't merely dreamers anymore. "I'm just excited to come in and compete," Griffin said in a team-issued statement. "Nothing's ever been given to me in my life, so I just want to go out and compete with the guys and grow with this team. I feel like that's all I'm really focused on. I cherish the opportunity to get another chance to play this beautiful game." Do you believe him? Maybe not. And perhaps, for now, that's all that matters.